We may not all have block parties and an active neighborhood watch, but you may be more affected your neighbors than you think; the neighborhood we live in can affect our happiness and stress levels in multiple ways. When you're thinking of strategies to manage stress, consider investing in your relationships with your neighbors. The following are ways that neighbors can affect our lives and be resources for stress management. With our busy schedules, we don't always see friends as often as we'd like. For a bit of socializing that takes only minutes out of your day, it's nice to stop and chat with people for a few minutes on your way out to your car. And the more people you have available for shared social support, the better, generally speaking. I know people in some more-friendly neighborhoods who share dinners, minimizing the effort it takes to cook. Others trade fruit from their trees. A neighbor who borrows a few eggs may come back with a plate of cookies that the eggs helped create. Knowing your neighbors increases everyone's ability to share. Knowing the people around you can bring a sense of security. If you need something—whether it's a cup of sugar when you're baking cookies or someone to call the police if they see someone lurking outside your home—it's nice to know you can depend on those around you and they can depend on you. Knowing the people who live around you provides a strengthened sense of pride in your home and neighborhood. Coming home just feels nicer when your neighbors are your friends. If you live in a generally safe area, I highly recommend taking a morning or evening walk. It's a great stress reliever that also allows you to get to know many of your neighbors, get an understanding of who lives where, and feel more at home in your surroundings. It's simple enough, but if you're not in the habit of smiling and giving a friendly hello to the people you encounter in your neighborhood, it's a good habit to start. While not everyone will return the friendliness immediately, it's a quick way to get to know people and build relationships, even if you've lived close for years and haven't really said much to one another. The more veteran members of the neighborhood often have the inside scoop on the neighborhood. You may be surprised at how much you can learn if you stop to take the time to talk to the sweet old lady at the end of the block. This may seem obvious, but if you have a fruit-bearing tree, it's a great idea to offer some of our overflows to your neighbors. It's always nice to have fresh fruit, so even if not all of your neighbors have an interest in what you have to offer (maybe they have their own lemon trees and don't need yours), they will likely appreciate the offer. And if you're lucky, they may have some fruits or veggies to share as well! 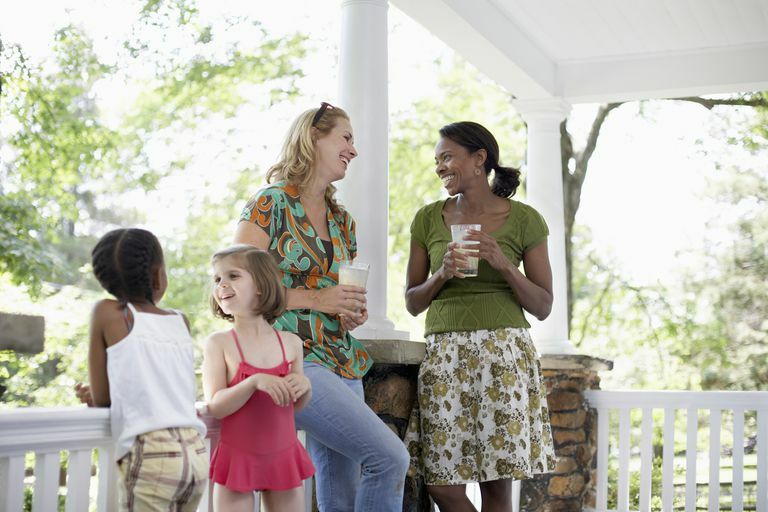 If you already know several of your neighbors in a superficially friendly way, you may want to get to know them better and meet the rest by throwing a block party. They're surprisingly fun and easy. To feel safer at night and build a sense of community at the same time, starting a neighborhood watch program is a great idea. Getting more information on stress and resources to help you to manage it can help you to build habits that can help you to cope with stress once your stress response is triggered.